As part of the school’s personal, social, health, economic education and citizenship programme (PSHEEC), members of the Anthony Walker Foundation were welcomed into St Augustine of Canterbury RC High School to speak to students about racism and hate crime. The foundation has been providing young people across the North West with education and information regarding racism and hate crime for over 10 years since the racially- motivated murder of Anthony Walker in 2005. Using the words of Anthony’s mother, Gee, foundation worker Natalie and volunteer Nelson spoke of Anthony, a devout Christian who dreamed of a peaceful world, to year 9 students during an assembly. A 30 minute film was then shown to demonstrate how racism can take many forms and its impact on those affected, assisting viewers to empathise how it feels to be discriminated. This led to a discussion on what each person can do to ensure they do not perpetuate stereotypes, prejudices and discrimination. St Helens Council’s Cabinet Member for Education, Councillor Andy Bowden, was in attendance and praised the students’ mature approach to such a sensitive topic. Councillor Bowden said: “It was pleasing to see the students fully engaged during the assembly as they came to realisation that racism and hate crime has a devastating impact on a family and community. 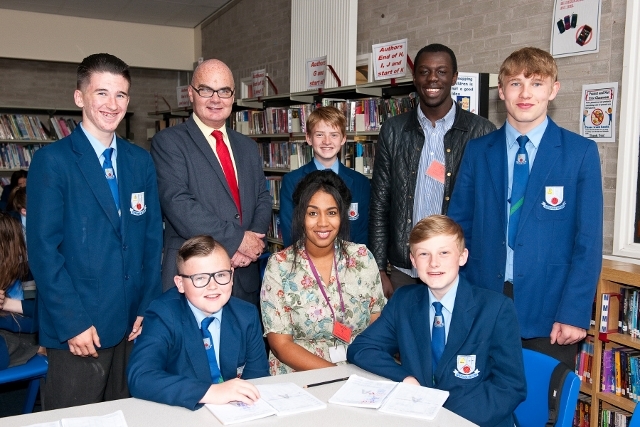 John Au, Partnerships and Projects Manager for the Anthony Walker Foundation, said: “The Anthony Walker Foundation is always pleased to respond to requests from schools asking for workshops to raise awareness among pupils and staff about the harm and impact caused by discrimination and racism.